This organic cotton infant boy outfit set features a fun robot print on a comfortable navy footie, and a cute coordinating knot hat. 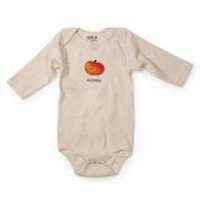 The organic cotton in this baby clothes set is not treated with chemical pesticides or fertilizers, so it will not irritate the delicate skin of infants. 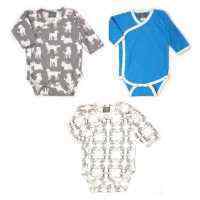 This organic cotton baby boy clothing set comes in a cute gift box and makes a unique gift for any baby boy. 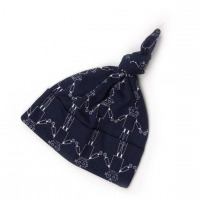 The organic cotton robot print navy blue baby knot hat will keep baby boy warm and comfortable. 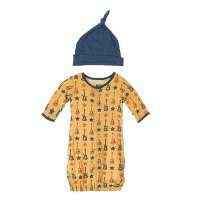 Babies need a number of outfits with hats, and baby will love wearing this clothes set that is anything but boring. 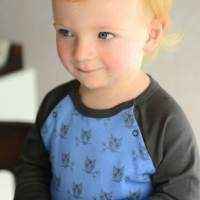 This fun baby boy organic cotton clothing set makes a unique eco friendly newborn or infant boy gift. 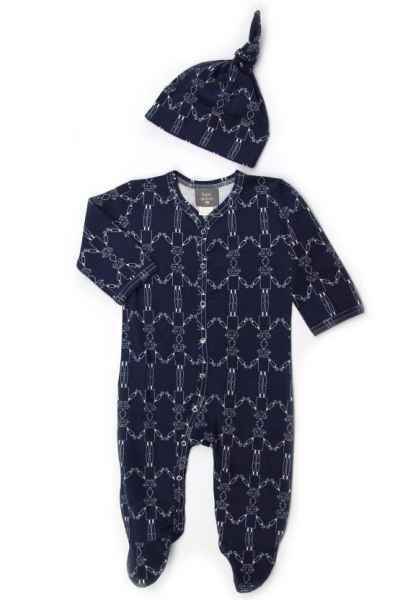 Parents will love this outfit set, and the bonus is that it is organic cotton. 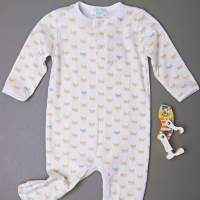 This earth friendly organic cotton baby boy clothes gift set makes a unique and cozy newborn take home outfit set. It is also an adorable outfit to wear in baby pictures. 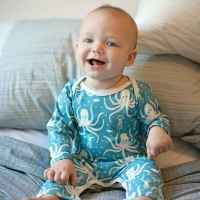 The organic cotton in this fun baby clothes set is grown using sustainable farming practices that do not use toxic fertilizers or pesticides. 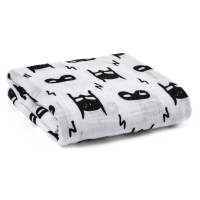 This organic cotton is grown using GOTS fair trade practices. 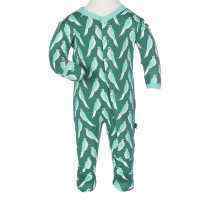 This organic cotton infant boy outfit set will not harm sensitive baby skin or the environment. 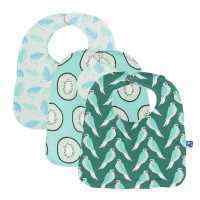 Not only is this organic baby boy clothing set earth friendly, but it also super fun and practical.